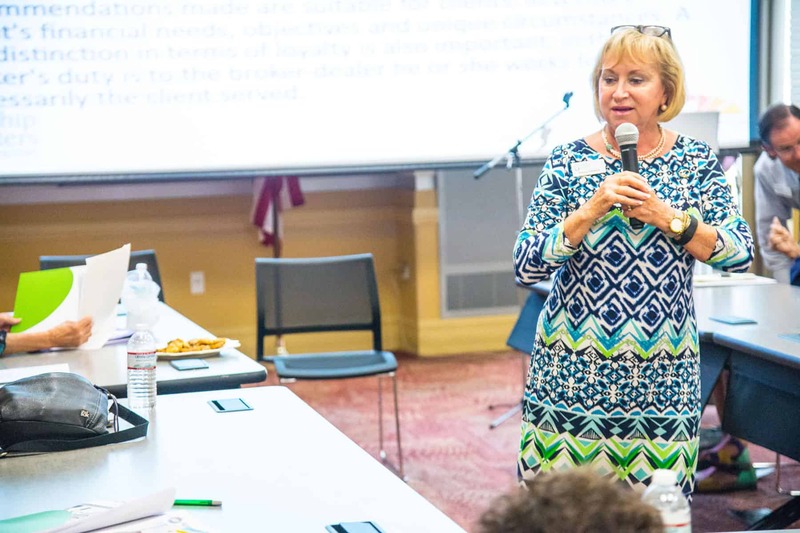 In partnership with the Sarasota County Library System, we offered a free course for women called Taking the Mystery Out of Finances. It was an outstanding success. In addition to regular classes at our centers, we offer numerous special workshops and talks throughout the year. For example, our multi-session Aging Mastery Program teaches seniors how to navigate longevity. Our corporate partners present topics of interest at our centers, such as “Getting the Most from your Doctor’s Visits” and “Understanding Dementia Related Chronic Illnesses.” AARP and AAA are frequent guest presenters at the centers. We also offer a number of programs aimed at helping individuals with early stage memory loss, along with educational programs for their caregivers. More information about those programs is available in our Caregiving section. Over the years we have co-sponsored many community outreach events that help older adults plan life’s next chapters, or shed light on important issues in the field of aging. These collaborations often feature prominent guest speakers, bringing together organizations and individuals who are vested in improving services for seniors. To find out about current programs, check out our calendars or upcoming educational programs.